On the occasion of getting a PO Box, I've decided to finally update you on my mail adventures! No worries, no letter will be lost in mail as everything you've sent is being forwarded straight to my PO Box! I have been getting quite a lot of mail lately which is always a cheer up! Do you remember that project I have set up on sendsomething.net? Well, by now, I have sent 24 single pieces of mail! Yay! You can see the whole list of people whom I aim at sending something to this year on my sendsomething profile. Further, you can see my outgoing and incoming mail. Prepare yourself for a ton load of pictures! This was such a treat for Winter Holidays from Anna in England who has been a great pen pal. The world after all is a small place, This was proofed by yet another fact - Anna's friends know where I am from and told her about my area and they, actually, lived over here for some good time. Thank you, Anna, for this amazing package. I hope you've received my little treat by now! These envelopes came from my long-term pen-pal, Kilmery, she is such an inspiration! Her letters are always thoughtfully written and the little gifts she includes never fail to cheer me up on a sad rainy day. I have sent her a package just this week. I hope it reaches her safely in a couple of weeks! Here are two envelopes from my first ever Russian-to-be-pen-pals. 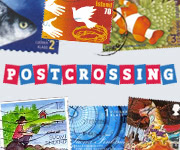 The letter at the upper-left corner is actually a birthday card from a member on Postcrossing. I sent them all a reply as well. This cute letter comes from England. My new pen pal, Sumiko, found me on, what I think is one of the best pen pal ads web site - lettersets.com. I absolutely loved the paper and the tea - in fact - my most favourite one - EARL GREY! YUM I have sent a wee envelope for her this week! My long-term pen pal, Charles, always includes a postcard or/and a coin in his letters. We've been friends for over 2 years now! His letters bring so much warmth with them and are a delight to read! Thank you! The letter on the left is from GirlZoot on sendsomething.net Your postcards rock, Melinda! The one at the right top corner is from Sean Duffy who sent me his original photo. I liked the lyrics on the back of it. They were from one of the songs by The Civil Wars whom I happen to like to pieces. Finally the postcard was a treat from a strange, presumably, from IOUMA, Grigori Antonin. He sent me his portrait of the shadow on the sidewalk of Hollywood Boulevard. So neat! Rachael has been my pen pal for about 2 years. She comes from Australia and has a pen nickname - Ivey - which I find really cute and it suits her personality just fine! I hadn't get anything from her in a long while but finally this letter reached me having come through the rough places of Russia. A reply from me is on the way! The one and only TARAdactyl sent this terribly amazing envelope some time ago, as you know, I am not particularly good at posting on here. Although, I never stop writing, creating and receiving mail! I am short of the spare time, that's it :/ Thank you so much again! Your envelopes rock! There's something for you in the mailbox,too! Laura is also one of the people I "met" through the lettersets website! This is her first letter to me. She included some tea bags, a postcard, a Hallmark datebook and a playing card with a great green cover! I wrapped up a package for her! I hope it will reach her soon enough. Marleen is one of the first pen pals of mine,along with Charles, I guess. She sent me this Birthday card with traditional Dutch ornaments and a candle! Yay Sending her a little package, too! This one is from a member of sendsomething community - Sophia. Thank you for the card and the letter! There is something coming your way! This was a nice surprise from a Postcrossing member who sent me this official postcard along with the letter. She told me she liked my profile and wanted to be pen pals. So, here I am sending her a reply back. This picture of an envelope from the lovely Remi would not upload normally. It goes upside down when it's loaded. Bizarre.. Thank you, Remi, for all the neat cute little things you included! Mail coming! Peter has founded me on some pen-palling website. We have exchanged a couple of letters and he seems to be a nice lad. Thanks for the letter! Oh, on the right is Michael's letter. He is a participant of sendsomething and makes ace envelopes! Reply is on the way, Mike! Well, that is all for the letters for now. Here are postcards that I have been getting these days. It was my 19th Birthday on March 11! Here are some cards I was given. I'll wrap it up here with coming mail for now! I am sure there is loads of mail coming my way! A wee package for Remi! I hope they will be able to read the address :) I hope as long as the postcode is readable, it is okay. My first letter to Rachael in MI, USA who I found on the lettersets website I hope she likes the card. I completely forgot about leaving some space for stamps and had to put them one on the other. This goes down to Michael. I've been babysitting for the Canadian-American family since October 2012. Addison(10) and I spent one whole day doing crafts. We made a handful of envelopes to her friends and relatives and I sent them out the next day. She promised me to send letters from wherever the life takes her to! Look forward to them like to nothing else! She is really mature for her 10 years and has an attitude! The books she reads are absolutely amazing. I hope she will like the one that I advised her - Jonathan Livingston Seagull by Richard Bach. I have bought quite a few postcard and sticker sets lately. As well as stamps.. Money just flow away through my hands! Some more paper for envelopes. STAMPS! Who doesn't like a nice set of stamps?! Nobody! I am quite obsessed with napkins..aren't I?.. My Mum gave me these flowers for my birthday! Her visit was such a delight! I love to spend time in Shokoladnitsa coffee-shop. I don't go to the one where I work but to the second one. They treated me with a cute bear on my cappuccino. New season - new shoes. They set up flowers on every table at my work. The florists got super duper creative with them! Leave comments below, write letters and send out postcards! The world needs more mail! A birthday package from Japan! trains, planes and automobiles.......... i mean t-shirts, cards and badges! 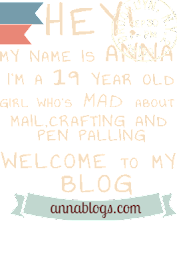 ﻿Blogger Template created with Artisteer by Anna.